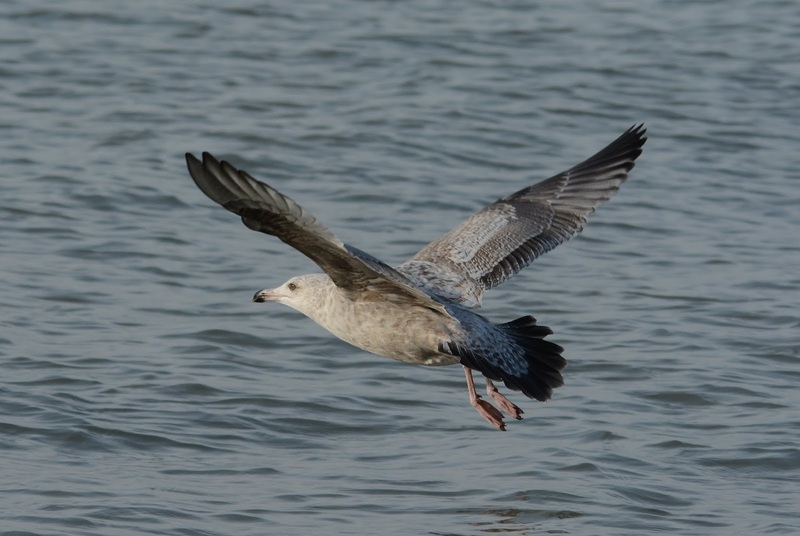 Anything Larus: Aberrant, Hybrid or Just a Pale American Herring? Aberrant, Hybrid or Just a Pale American Herring? Although the bill is slightly open here, the "feel" was very Glaucous-like. The underwing linings have the brown and white dotting that I associate with Great Black-backed. The very fine stippling on the upperwing coverts is noteworthy. 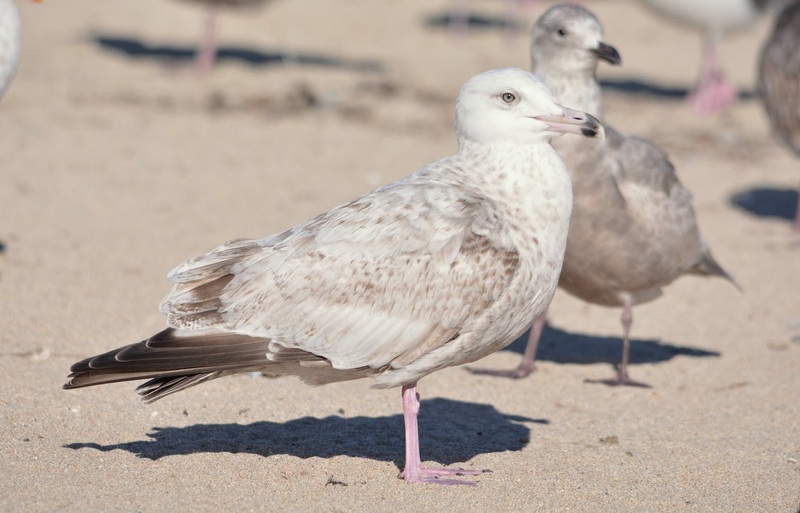 Heavy, barrel-shaped body much like a Great Black-backed or Glaucous. When averaging all of the photos, this photo is closest to what the upperparts looked like in the field. 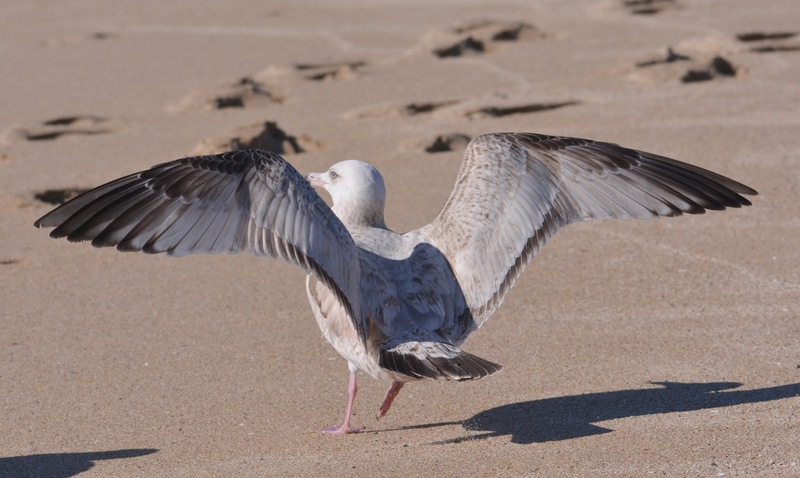 I've observed pale Herrings similar to this one in California but late into the winter season after, presumably, bleaching had set in - the upperparts to those birds show very little pattern to the upperwing coverts (unlike the Michigan City bird). 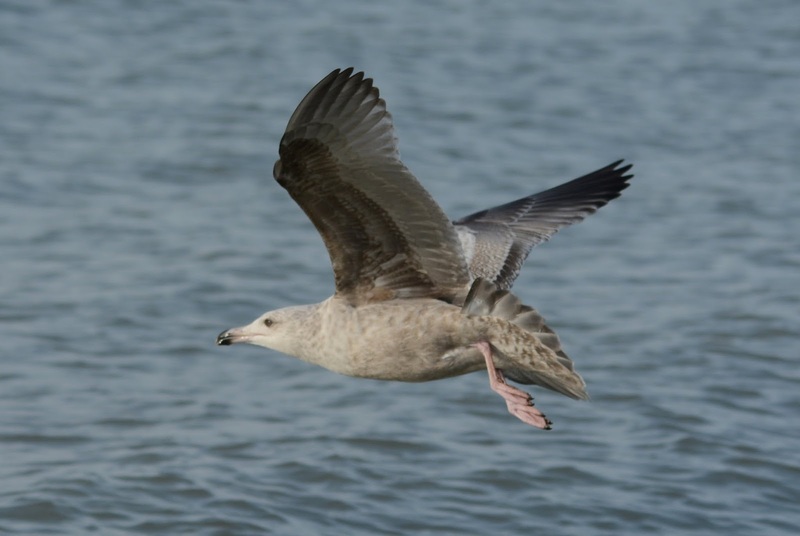 Herring Gull (2nd cycle). Half Moon Bay, CA. 18 Jan 2014. There's little doubt that the upperparts are bleached. P6-P8 show tear-drop like pale inner webs (left wing). The very plain, white, greater coverts are bleahced. The greater covets show a pattern and have not bleached or faded. 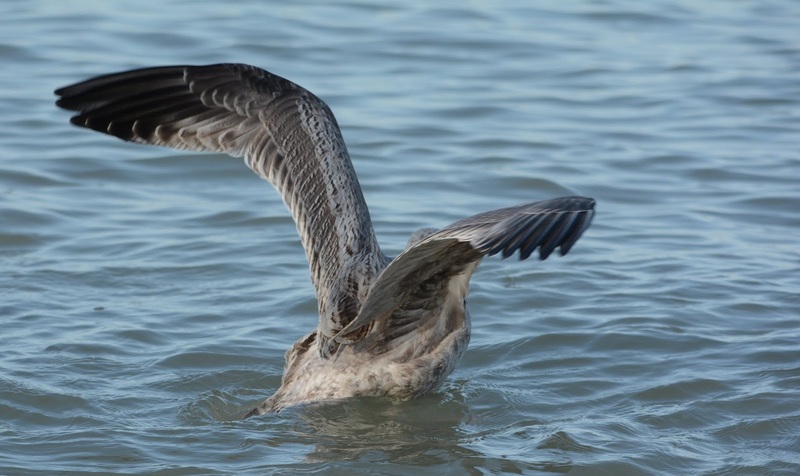 Interestingly, this bird too shows pale tear-drops at the subterminal portions of the innerwebs to the outer primaries. Assuming the 2nd prebasic was just recently completed, I have to rule out bleaching as an explanation for the pale upperparts. It could very well be a slight melanin deficiency, or outside influence - perhaps Great Black-backed or Glaucous genes somewhere in its ancestry (the larger barrel-shaped body and large bill were striking). Or, is this plumage aspect completely within the range of variation for Smithsonianus?